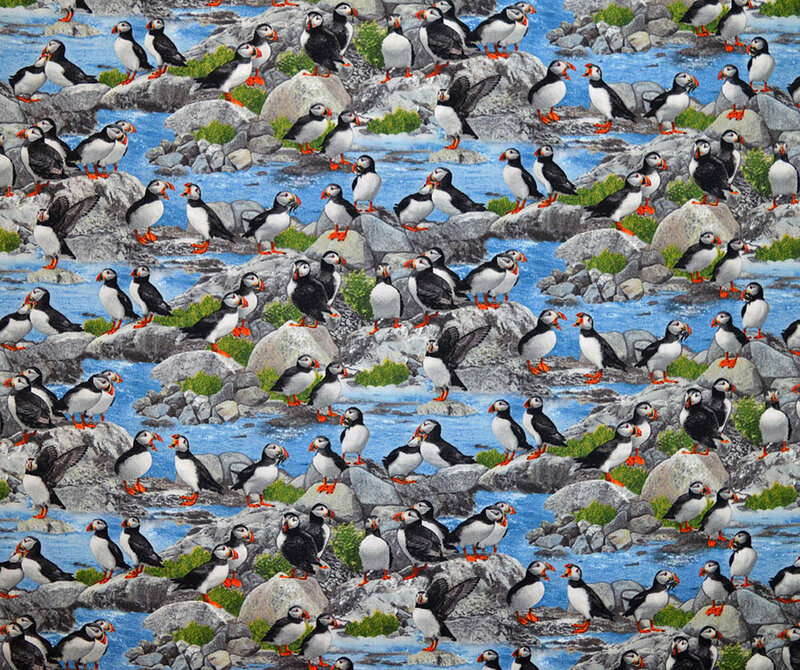 Half Metre cut of Puffin Print from Elizabeth Studio. For larger amounts select multiple quantity. It will not be cut into half metre pieces if 2 or more quantity is selected.